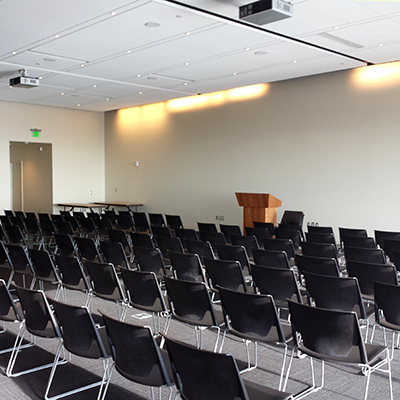 The Natural History Museum of Utah offers diverse meeting spaces that can accommodate an array of business events, from grand receptions to office retreats. This venue is as distinctly Utah as the accompanying views of Salt Lake City and the surrounding mountains. 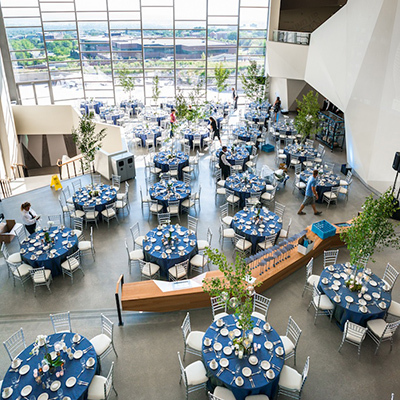 Choose from the expansive Canyon and Canyon Terrace, the versatile Level 5 Event Spaces, or reserve the entire Museum to ensure all your guests are captivated at your next professional event. 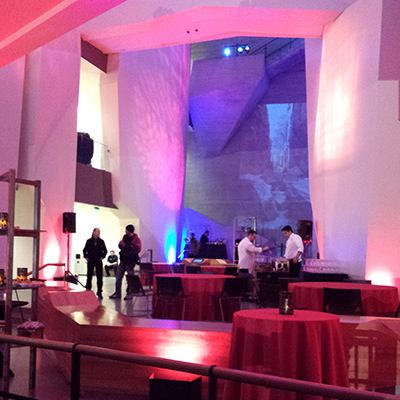 Plan an event for your business at the Museum by calling 801-585-9538 or emailing our Events Team. Evening events may start as early as 6:30 p.m. with set-up as early as 5 p.m., excluding Wednesdays. Special rates available for non-profit organizations. Regretfully, the Natural History Museum of Utah does not accept bookings for high school dances. * Rentals do not include admission to the galleries during the event with the exception of the Full Museum or optional Gallery Experiences. Return to Museum rental overview.